Club Penguin Cheats by Mimo777 Club Penguin Cheats by Mimo777: Club Penguin Elite Explorations News! Club Penguin Times has discovered there is an Elite Penguin Force protecting the island! 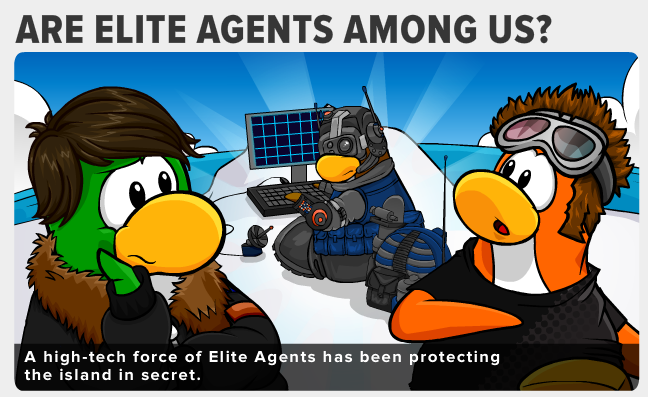 If civilians can prove themselves to these Agents, they too can become an EPF Agent! A new expedition this month means only one thing! Expedition Party! Woot! We have had the Cave Expedition and the Mountain Expedition, but this year, expolrers are wanting to find out what all is in the Box Dimension! 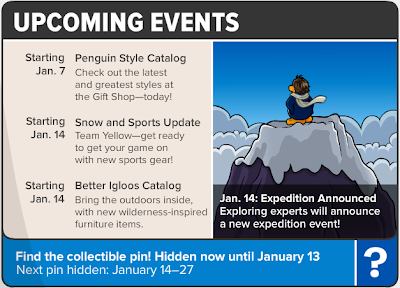 Hmm, I wonder if all members will be able to buy the Box Portal again in the Better Igloos Catalog next week? 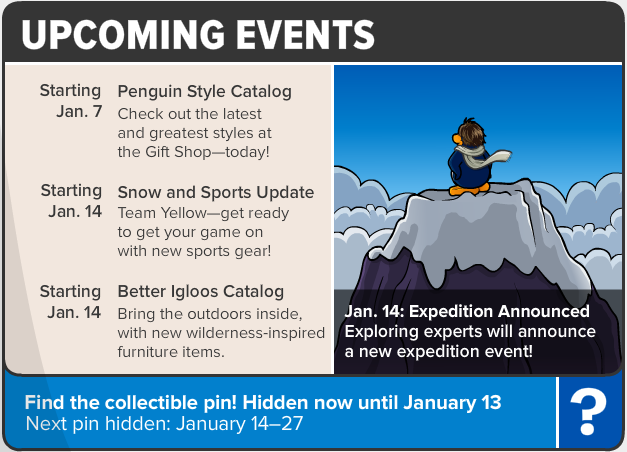 More details on the Party and the EPF will be available next week! 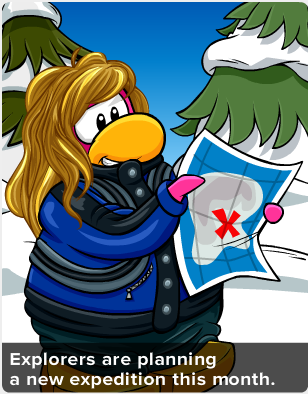 I bet its a climb to the Tallest Mountain and after the event the Tallest Mountain will be on the map and we can go to it.